﻿ ﻿﻿﻿﻿"The health and environmental benefits of cycling are very much in line with past and current Women's Institute mandates and compulsory helmet wearing may encourage more people to take up cycling, whilst improving the overall safety of cyclists." So says the Women's Institute. The following is the text of a motion being discussed by WI members which, if passed, will form the basis of the organisation’s campaigning and awareness-raising activities in the future: "The Women's Institute urges Her Majesty’s Government to make the wearing of helmets when cycling a legal requirement." The WI appears to have worked closely with the brain injury charity Headway whose position on cycle helmets is: "To initiate activities and campaigns to reduce the incidence of brain injury." And who could disagree with that? Well, I don't disagree with the overall ambition. I strongly disagree, however, with the means by which Headway is trying to go about this. I do not believe that the Women's Institute should pass this motion. I say this not because I think helmets are in any way 'wrong'. 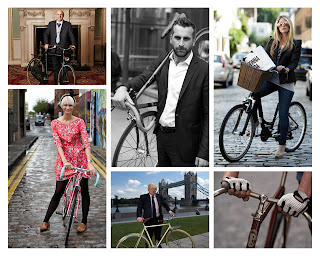 Although I note Norman Baker, Transport minister has stated publicly: "I don't wear a helmet when I cycle." Boris Johnson and David Cameron didn't used to wear helmets but Boris has suggested an element of bullying forced him to put a helmet on. ﻿﻿"We believe that safe areas for people to walk and cycle should be created, particularly in populated areas where people live and go to school or work or the shops. At present approximately 75% of all regular cyclists in the UK are men; we believe that focusing on creating attractive and safe conditions for riding a bicycle have a much larger possibility of enacting positive change within society - most especially for women and families - with all the wider benefits that increased riding will bring (less congestion, less pollution, fitter population etc)..."
"The undersigned call on the Women's Institute to reject Resolution 6 calling for compulsory helmet laws and to focus instead on creating conditions in which all members of society will feel safe and comfortable riding a bicycle"
I think the WI is a fantastic organisation and does an awful lot of positive things. But this is a pernicious motion, one that could do a lot of harm, much as means to do a lot of good. Please join with us by adding your name to the letter which you can do by signing this online form here. We at the Cycling Embassy of Great Britain welcome the fact that the Women’s Institute is taking an interest in the safety of cyclists. Far too many bicycle riders, young and old, are killed and injured on the UK's roads every year. Many more will never even contemplate something so simple as riding a bicycle - or have tried and given up - through being too scared to mix with heavy and fast traffic on Britain's main roads. We do not believe that the way to remedy this situation, and to increase cyclist's safety, is through compulsory helmet laws. As is stated in the summary of your resolution in the pros and cons, the focus of the resolution as it stands is currently very narrow and is likely to put people off cycling; something we have already seen happen in Australia and New Zealand. Both countries adopted compulsory bicycle helmet laws in the 1990s and both now see almost a third less cyclists on their roads. Recent research published by the Health Promotion Journal of Australia found that 1 in 5 adults would start cycling, or cycle more, if such laws weren’t in place. In 2008, the New Zealand Transport Safety Minister Harry Duynhoven publicly acknowledged that such laws are putting people off cycling. Urban cycle hire schemes in Melbourne and Brisbane have struggled to find an audience, with Auckland’s equivalent folding after failing to cover its costs. This whilst equivalent schemes in Paris, Barcelona, Montreal, Toronto, Washington DC, Mexico City and London (to name but a few) have seen huge success with hardly any accidents. London’s accident rate is a minute 0.002%. It can be argued that the consequence of a compulsory helmet law is a greater risk to public health than making cycling safer in other ways. With fewer people engaging in everyday exercise like cycling, as in Australia and New Zealand, the risk of obesity and the many associated health problems increases. Even if cycle helmets protect against head injuries - and it is imperative that the Women's Institute is made aware that there is no conclusive evidence or academic consensus that they do - compulsory cycle helmet laws bring with them their own negative health repercussions. Obesity cost the NHS an estimated £4.2 billion pounds in England alone in 2007, with the NHS themselves expecting a £50 billion annual cost by 2050 should current trends continue. Any motion which encourages easy, everyday exercise like cycling should be applauded, but there is not one single example of a compulsory helmet law increasing rates of cycling. A lot of us are able to remember that when we were children, our bikes were our passports to freedom and independence. There is no reason why this cannot be the case for current generations. There are cities and countries who already achieve safe mass cycling rates; we should look to their successful examples rather than countries, like Australia, where mandatory helmet laws have been disastrous. In the Netherlands, children are still free to go to school unaccompanied, on their bikes, on average from the age of eight. That is because their roads and towns are designed to make cycling safe for all ages, from children with stabilisers all the way up to grandparents and great grandparents. The result is civilised streets and happy children. In a 2007 UNICEF study, the Netherlands came top for safest roads and child wellbeing. The UK came 21st. "I am of course pleased to know that you are in favour of the overall objective of increasing cycling for health and environmental reasons but do you really think compulsory helmets will encourage people to take up cycling? Firstly, that feels entirely counter-intuitive – it is true that a large minority (sic) of current cyclists, including me, regard a helmet as a sensible choice in some if not all circumstances, and if helmets were actively prohibited one might imagine that this could put off some potential cyclists who would thus feel unsafe. However, they are not prohibited, there is free choice to wear or not, so anyone can take up cycling either helmeted or bare-headed. Indeed, many cyclists or potential cyclists are known to dislike helmets for a variety of reasons such as getting sweaty, messing up their hair, or whatever, and there is a view that plugging helmets implies that cycling is more dangerous than it actually is. Sure, there are risks, but statistically you are just as likely to suffer head injury in many sports, or indeed as a pedestrian. Making it sound dangerous must surely be a turn-off. Secondly, there is empirical evidence that helmet compulsion leads to a decline in cycling. This has been the experience of Australia, and of some Canadian provinces and US states which have introduced it. It also wrecks the potential of a cycle hire scheme. Melbourne for example has a similar scheme to London but its uptake is considerably lower, despite rather better cycling infrastructure. If you combine the experience of all branches of medicine, instead of looking exclusively at head injuries, more cycling has a net positive health benefit due to improved cardiovascular condition, less obesity and related conditions etc. Finally, the risks of head injuries while cycling are overplayed, and not placed into a sensible context, by organisations such as Headway. The terrible experiences of the last year in London have shown that fatal and serious injuries are more often bodily, and that head injury is only one of several injuries sustained in an accident. Helmets are certainly a useful protection for certain types of accident, primarily low-speed slips and trips not involving other vehicles, such as are experienced in off-road riding, but helmets are not designed to withstand impacts at above 12mph or from a height of more than one metre, nor are they capable of protecting the head against impact from a fast-moving and heavy vehicle. In context, cycling is not more likely to give rise to head injury than walking – the risk per hour is slightly higher, but per kilometre is measurably lower. Should pedestrians therefore not also be compelled to wear helmets? If you are not already familiar with it, I would urge you to look at the briefing material and research links available via the website of the Bicycle Helmet Research Foundation, http://www.cyclehelmets.org/ . What the NFWI would be far better focussing its attention on is the reduction of road danger in general terms, and road danger comes almost entirely from motor vehicles, especially HGVs. Many people’s lives are blighted by road danger in the form of heavy traffic outside their front door, or rat-running through their residential street, such that children cannot safely play outside in the way that my generation could. Now that would be a worthy cause for you to champion!" I agree in every way, however I feel it is counter productive and a distraction to say that there is no proof that helmets prevent head injury. This is self evident, although not scientific, and does not form any part in my decision on when to wear, or not wear a cycle helmet. My only other concern is, as a father, the difficulty in countering peer pressure amongst the young to not wear a helmet. The young inevitably feel the need to rebel and make their own decisions in the world and a lone parental voice telling them to wear a helmet on the trip to school or shops is easily drowned out by their fear of being seen as an outsider and uncool. A law would make this simpler. There is not easy answer to this and it is not enough to convince me any law is required or desirable. As stated the benefits of more people taking to bikes far outweighs any perceived improvements in safety caused by a helmet law. In that I will happily sign your petition. Although I agree that it is important to create a safer environment for all cyclist and other road user, I believe in what the WI are doing. Making it law to wear a helmet when cycling to me is just common sense, after all motorcyclists have to and they are landing on the same surface as us! I agree most cyclists do wear them, therefore this law would only effect a minority who don't. I use the Boris bike system a lot and I never where a helmet when I do as I don't have it with me, I know I am endangering myself and I know this is wrong. This law would mean I would be prepared better for using the bikes. Also this will set a good example for children and parents and also the numerous commuter cyclists who don't wear helmets as they are "cycling for leisure" on a weekend(what's the difference). I really believe this campaign of yours is making a massive mountain out of a molehill and that your energies would be better focused on TFL and improving the environment for all road users. That is a cause worthy of support and this is just distracting you and others from the importance of that campaign. Anon (2) I think you have missed the point. Helmet compulsion, like being urged to wear high-vis, is a distraction from the real issues, which are that various aspects of road design, motorist behaviour and vehicle design, are the real danger to cyclists, and to pedestrians (who might also be well advised to wear a helmet for precisely the same reasons). Yes, campaigning for better road conditions is the more important objective, but the helmet debate is a convenient diversion for those who don't want to engage on the road design debate, so it needs to be knocked on the head. Motorcyclists are an entirely different proposition. There is definitive evidence to support helmet wearing there, just as there is definitive evidence to support seat-belt wearing. In neither case is the adverse impact of any potential disincentive on health and fitness an issue. The evidence on cycle helmet use is at best inconclusive. If the WI got behind a campaign for 20mph on all roads where people live, work and shop, we'd be on to something. It is astonishing that it is deemed acceptable to drive as fast as 30mph alongside pedestrians and cyclists. One day we'll look back at this and wonder how we allowed our roads to be taken over by people driving cars. On helmets - I'll go with compulsory helmets on bikes only AFTER the law for compulsory helmets in cars has been enacted. I stopped wearing a helmet a few years ago. Helmets offer a false sense of security while sending out a signal that cycling a dangerous activity only suitable for a dedicated few. Brilliantly worded; petition signed. I agree with Caroline Russell's comments. I smashed in to the back of a van last month and dented it with my helmet - I was pretty glad to be wearing one. Still, I agree with the letter because it shouldn't be compulsory. If helmets are that good we should make pedestrians wear them too. I believe that the WI should add its voice to the many who believe that it is important to make the roads safer for cyclists (and pedestrians) by improving their facilities and reversing the "motorist is king" attitude which has been in place in this country since the 1960s. The logical extension to forcing cyclists to wear helmets is to make all pedestrians go out in full body armour (there are, after all, far more pedestrians killed on the roads than cyclists). I can't believe the WI would want this! I have just looked at the WI website and there is no suggestion that there is such a proposal. I signed the letter all the same. I find it strange that the captions of this article focus on the 'vanity' argument for not wearing a helmet - why would anyone consider the opinions of those whose argument for not wearing a helmet is because it makes them sweaty (you sweat anyway from riding a bike) or it messes up their hair (so can the wind from riding a bike). But I generally agree with the argument against compulsory helmet wearing - the problem is that, whilst there being some good arguments, there are also some awful ones, such as the vanity one. One more thing...@John Hartley - there are more pedestrians than cyclists, so saying that there more pedestrians killed on the roads than cyclists doesn't prove your point. You would have to show that PER JOURNEY you are more likely to be killed on the road as a pedestrian than as a cyclist.